What We Can Learn From Warren Buffett's Prostate Cancer : Shots - Health News Billionaire Warren Buffett was tested for prostate cancer at an age when most men are not. The evidence suggests that in most cases the harms of treatment of prostate cancer in elderly men outweigh its benefits. Benjamin Davies, a urologic cancer specialist, doesn't mince words. On Twitter today, the good doctor said he would fire on the spot any medical resident who biopsied the prostate of an 81-year-old man. 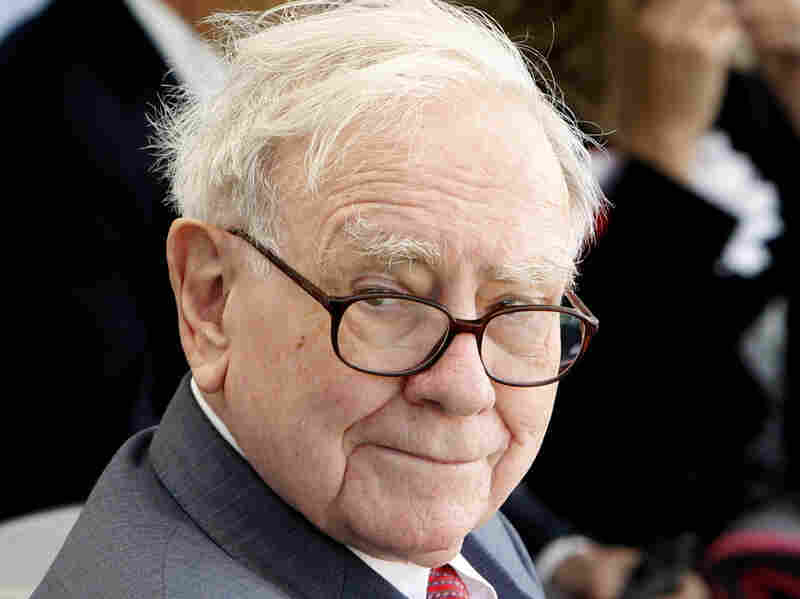 And that would include Warren Buffett, the 81-year-old CEO of Berkshire Hathaway, who disclosed Tuesday that he had been diagnosed with prostate cancer. In a letter to shareholders, Buffett said a high reading on a PSA test, something his "doctors had regularly checked for many years," was the red flag for a biopsy that found cancerous tissue. Subsequent CT, MRI and bone scans showed no cancer spread. He'll start radiation treatment in July. So why was Davies so upset? Well, the weight of medical evidence led the U.S. Preventive Services Task Force to say years ago that men 75 and older shouldn't have regular PSA tests. The harms of treating any cancer found outweigh the benefits, the USPSTF concluded. Last year the influential group took things a step further, releasing a controversial draft policy against routine PSA testing for men of any age. Davies is an assistant professor of urology at the University of Pittsburgh med school and director of its urologic oncology fellowship. He sees a lot of men with prostate cancer. But he tells Shots he wouldn't order a PSA for a man Buffett's age. "As long as their PSAs have been normal all their lives, I'd stop at 75, and that's me being conservative," he said. "You could probably stop at 70." The PSA test can triggers further testing, such as a biopsy, and treatment that may be unnecessary. "There's no reason to check a PSA on an 81-year-old. It's unseemly," he says. Davies isn't privvy to the details of Buffett's case, and the information released so far is incomplete. Buffett's letter says his prostate cancer is Stage 1, or localized. His doctors told him the cancer isn't "remotely life-threatening," according to the letter. Generally speaking, Davies says, Stage 1 means "the chances of dying of the disease in the next 10 years is less than 1 percent." For men Buffett's age, "a substantial number ... may not need treatment" for a detected prostate cancer, Peter Carroll, chief of urology at University of California, San Francisco, told The Wall Street Journal Health Blog. Their doctors can watch tumors and intervene later, if needed. Most prostate cancers grow slowly. Still, it's possible that Buffett's test results suggested a more aggressive cancer. When it comes to prostate cancer in men of all ages, Davies says, "The problem is that we don't quickly treat the right people, and we overtreat most people." He says Buffett's case may come to represent the past way of doing things. In the future, Davies says, doctors won't be treating 81-year-olds for prostate cancer. There's going to be less treatment period, he says, after new types of tests allow doctors to figure out who needs treatment early and who can be left alone.